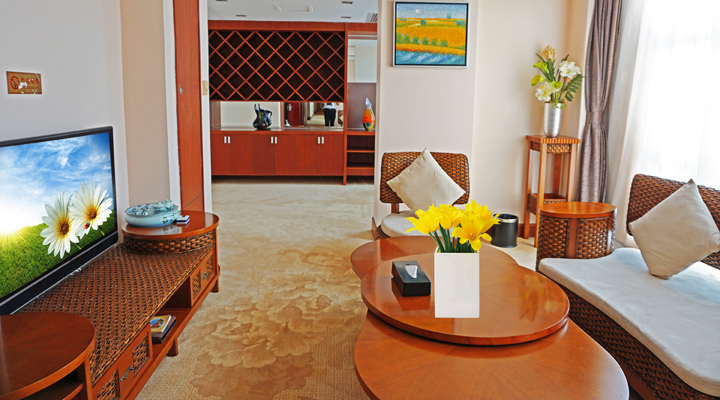 Every luxurious room is of unique design, elegant decoration, and there are rooms with balcony to view the garden. All of them are exquisitely carved with excellent quality. Controllable indoor air conditioner, wide scr-een LCD plasma TV, electric safe, refrigera-tor, domestic call and IDD, free broadband internet interface, intelligent room control system and electric locks make it convenient and comfortable for you to live here. Chinese restaurant is classically and ele-gantly decorated with lasting appeal. There are several independent and luxurious VIP rooms. Guests will enjoy the Cantonese food and dainty from different places and hosp-itable service. 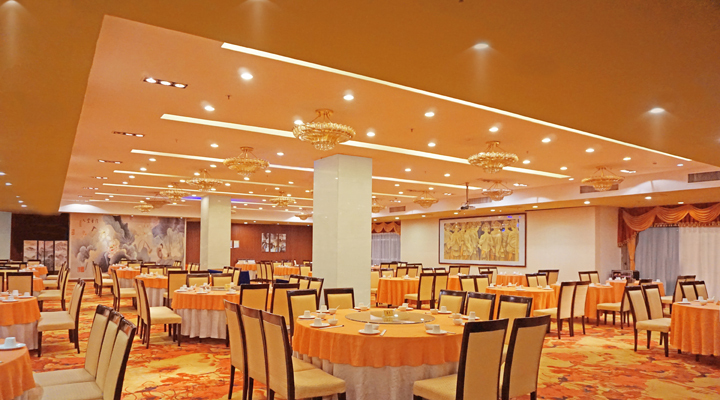 Media and small size banquet, get-together and western style buffet dinner may be held in the specialty restaurant and western style re-staurant in the first floor. 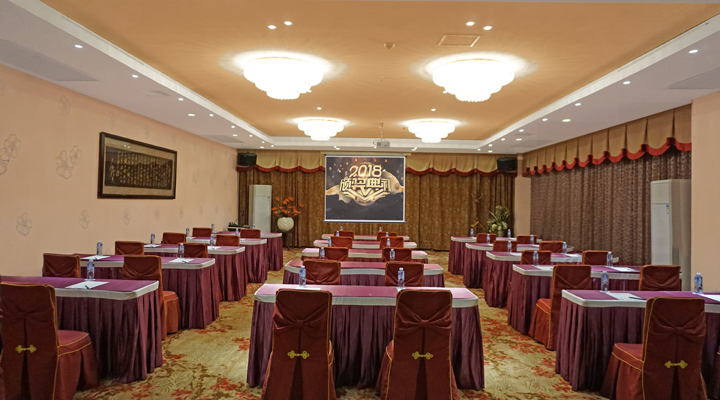 There are eight luxurious and noble multi-function conference rooms to accommodate 450 persons with desks. --- First rate audiovisual equipment, floor, stage for conference, lecture, and as well as professional stage performance --- Large activities can be hold in banqueting hall, and flexible arrangement is available according to actual demand --- Famous chefs cook different excellent food of both Chinese and Western style, integrating tradition and creation, in an effort to provi-de guests with enjoyment of color, flavor and taste. 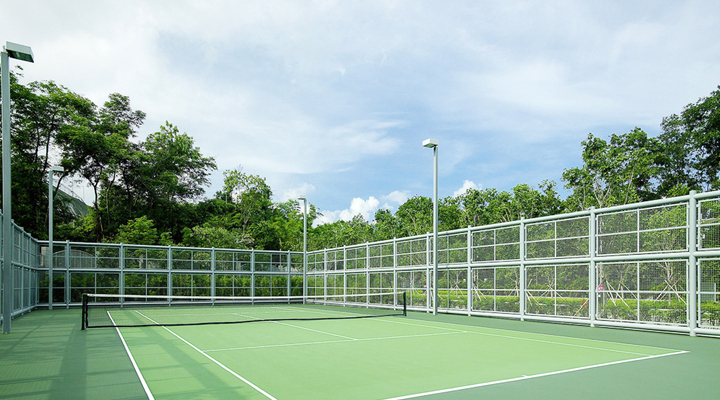 Tennis court, swimming pool, snooker, bicycle built for two, chess and card room, table tennis room will relax you physi-cally and mentally during your busy business trip.